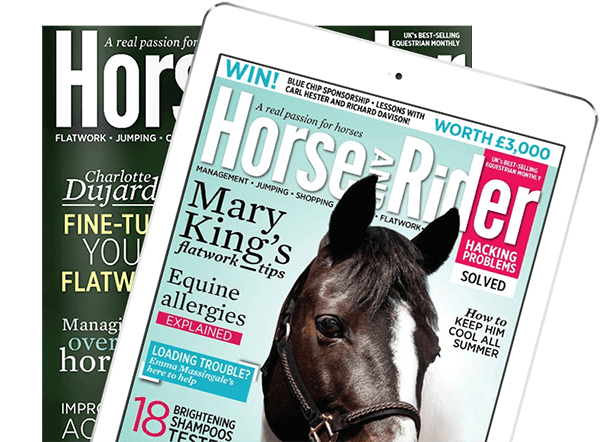 The deep, muddy conditions we all bemoan in winter may be gone, but summer’s hard ground can bring with it a new set of problems for horse owners. Concussion places extra strain on your horse’s legs, as well as being a problem for older horses or those with joint issues. But the good news is that, with a bit of extra knowledge and some careful thought, you can have fun all summer without worrying about additional injuries to your horse. When your horse’s hoof comes into contact with the ground, concussive force is created. When the ground is soft, much of the force is cushioned and absorbed by the ground and the rest by the structures of the foot and leg – this is what they’re designed to do. However, when the ground is firm, it’s unable to absorb the concussive force, which then travels back up through your horse’s feet and legs. This can lead to discomfort and injury as the body is pushed beyond its capabilities to absorb shock. 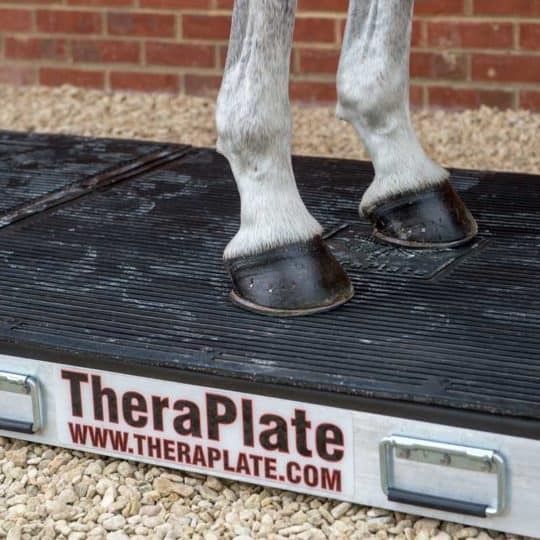 Hard ground increases the potential for injury to all parts of your horse’s body as tendons, ligaments, joints, bones, feet and muscles are put under increased stress. Factors such as uneven or rutted ground, excessively hot conditions and poor conformation can all influence your horse’s predisposition to injury. In addition, your choices affect the level of concussion. 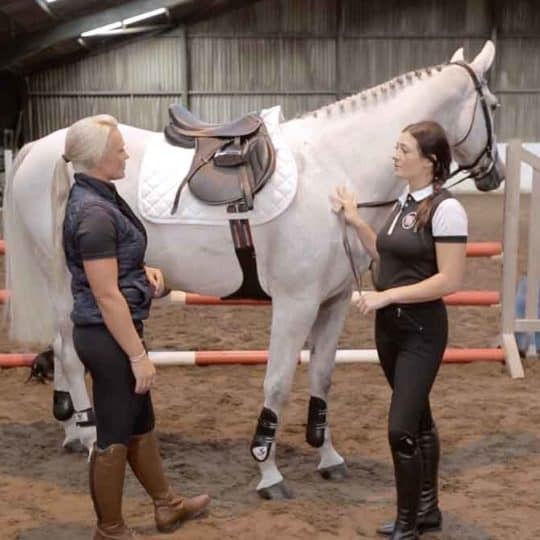 Riding at a controlled pace suitable for the going, ensuring your horse is well-balanced, fitting studs when appropriate and not over-working a tired horse will all mitigate concussion. 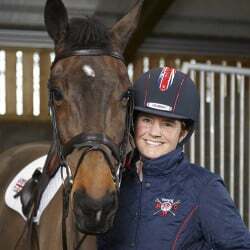 Meanwhile, riding hard on firm ground, allowing your horse to be unbalanced and on the forehand, and failing to recognise the signs of fatigue will increase the effects of concussion. According to Jim, the optimum level of moisture for hooves is around 24%, which allows the structures to expand and contract naturally. In dry conditions, moisture levels can dip as low as 14%, and this is when the condition of the feet begin to deteriorate, affecting your horse’s ability to absorb concussion and, therefore, passing the forces on to other structures. Excessively dry hooves can become brittle and struggle to expand and contract. Breakage, especially around nails and clenches is commonplace. protect your horse against flies and other pests with fly rugs, masks and repellents, because they often stamp or scrape when bothered by flies or insects and these sorts of repetitive motions can cause injury over time. Horses can also run around when irritated by flies, which puts them at risk of pulling shoes off brittle feet. Working your horse over poles is a high-intensity way to build fitness in the school without adding extra concussion to your horse’s legs. 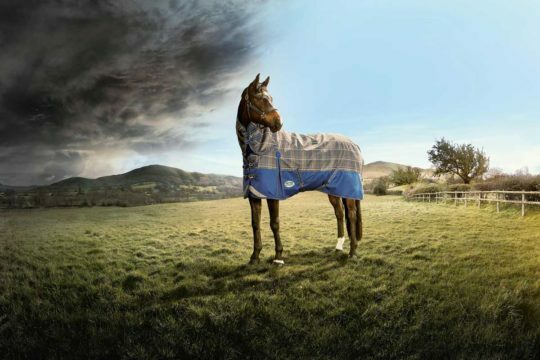 A fan of canter poles will really get his muscles working and heart pumping. Set the raised poles on a curving line, not a tight circle, with three good human strides between the outside of the poles and two-and-a-half strides on the inside of the curve. Start with the poles on the floor and, as you get better at timing your approach, raise the poles onto low cups on jump wings. Raised canter poles can help your horse develop a more connected, elevated canter. 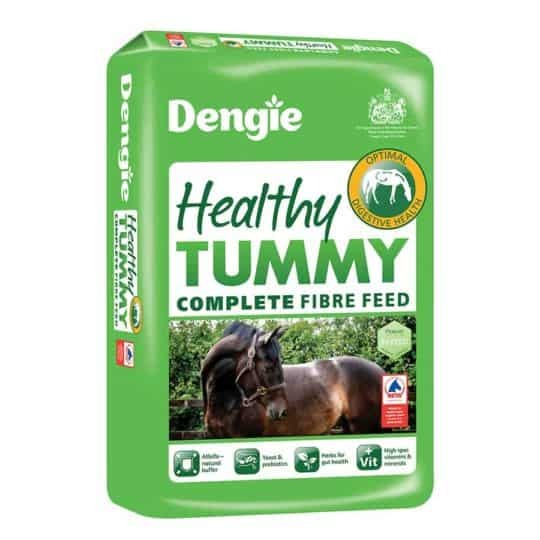 By lifting the poles a few centimetres off the ground, you’re asking your horse to exaggerate his hindleg action, bend his hocks and use his whole body, through his abdominals all the way to his back. You can learn a lot from the way your horse responds to raised canter poles. Does he drift to one side, fall in or out, or clip it with one foot? These details can help you identify where he needs to build strength and give you something to watch in your regular training. You can use the raised canter poles to practise being loose and elastic. The poles act like a metronome, so while there is quite a lot of movement and power coming from your horse, you can use the regularity to work on your timing and feel. Laminitis is a term used to describe inflammation of the laminae that attach the pedal bone to the hoof wall. 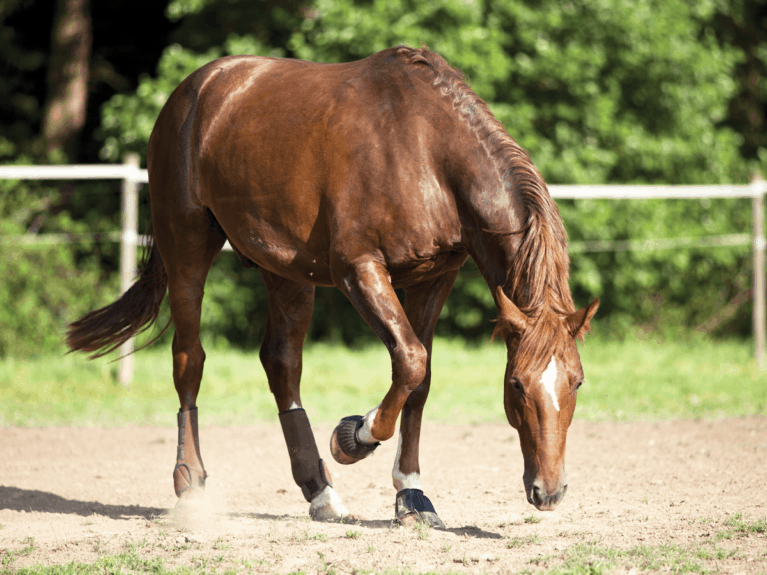 It’s often associated with overweight horses who have too much access to good grazing, however, if a horse does a lot of work on hard ground, particularly if it’s fast work, it can cause trauma to the laminae and result in concussive laminitis. Horses appear to be more at risk of developing concussive laminitis if they do a lot of roadwork or train and compete on hard ground. To ensure your horse doesn’t develop the condition, avoid excessive training or competing on hard ground and incorporate work on an all-weather surface until ground conditions improve. If you do a lot of roadwork, consider cutting down on the amount of trotting you do on the road while the ground is also hard elsewhere. 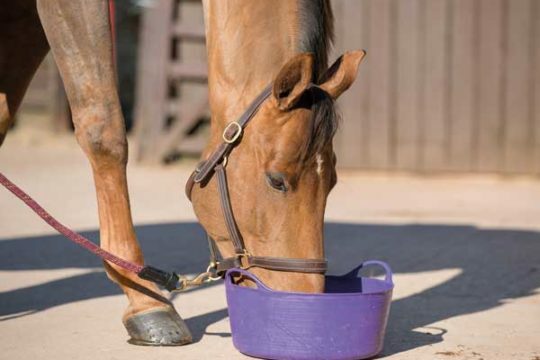 Horses with poor-quality hoof may be more susceptible to developing the condition, so it may be beneficial to discuss your horse’s diet with a nutritionist to ensure he’s getting all the nutrients he needs. If your horse has previously had concussive laminitis, it’s important to speak to your vet about appropriate preventative measures you can put in place. Working your horse on a hill adds intensity to your session without pounding his legs unnecessarily on firm ground. Walking and trotting up hills is hard work because he has to use his body evenly. Start slowly and build up the amount of time you spend on hills. Trotting up and walking down the hill is great for building strength. Practise some of your schooling for dressage by asking for a few steps of medium trot up the hill, as well as leg-yield and shoulder-in on both reins. Change your diagonal often and alternate the direction you turn at the top and bottom of the hill. 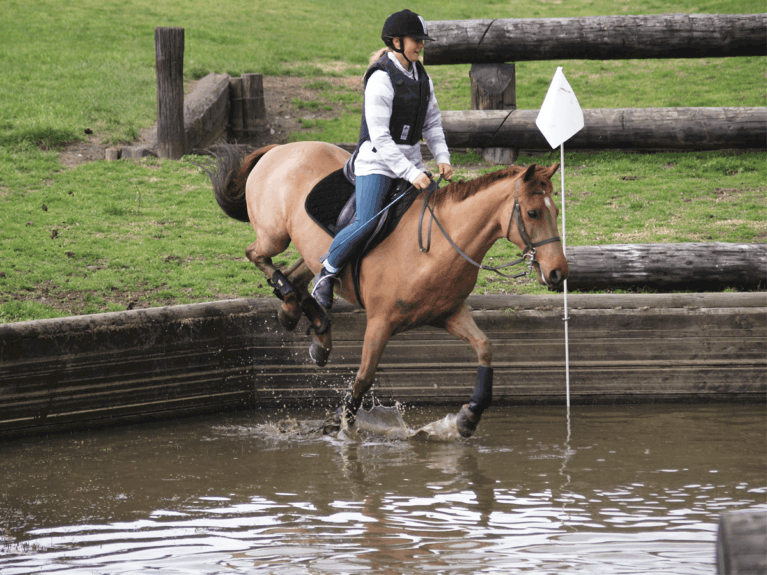 When the ground’s hard, choose your cross-country schooling venue carefully, aiming for one with the biggest water complex and lots of little fences. These hard ground schooling sessions are about trotting and popping small, interesting fences as you come across them. 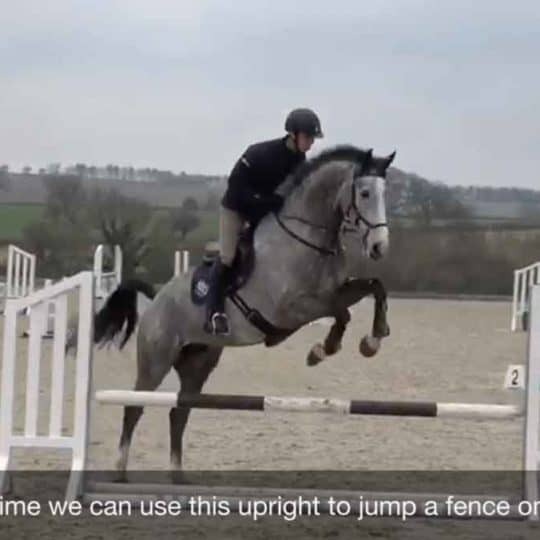 Low-key schooling like this can help your horse develop cleverness with his feet as he won’t be using speed or adrenalin to get over the fences, but rather will have time to look, assess and think about the questions in front of him. If your horse has sensitive feet, is prone to bruising or feels the ground more than normal, your farrier may advise the use of pads. Jim Ferrie explains: “A pad acts as a shock absorber between the shoe and the foot, while the filling (silicone or hoof packing) between the foot and the pad helps support haemodynamic flow”. Haemodynamic flow is the flow of blood around your horse’s foot. The digital cushion within the hoof acts as a shock absorber in a similar way to gel in a running shoe. There is increasing evidence that the flow of blood that is stimulated when the horse moves has evolved, in part, as an advanced method of shock absorption. But just because your horse is wearing pads, it doesn’t mean he won’t feel the effects of hard ground. “If the ground is hard, it’s hard and pads won’t provide a magic solution,” warns Jim. While some horses wear pads without a problem, others seem to be more prone to pulling off a shoe when pads have been fitted. If this is the case for your horse, let your farrier know so he can make allowances in his shoeing, and fit overreach boots to reduce the risk of damage – brightly coloured ones are easier to find in the field if he pulls one off. Access to good-quality, well-maintained footing can be a challenge, especially during dry weather. Many competitions are cancelled when the conditions are too wet, but most will carry on when conditions are questionably hard. 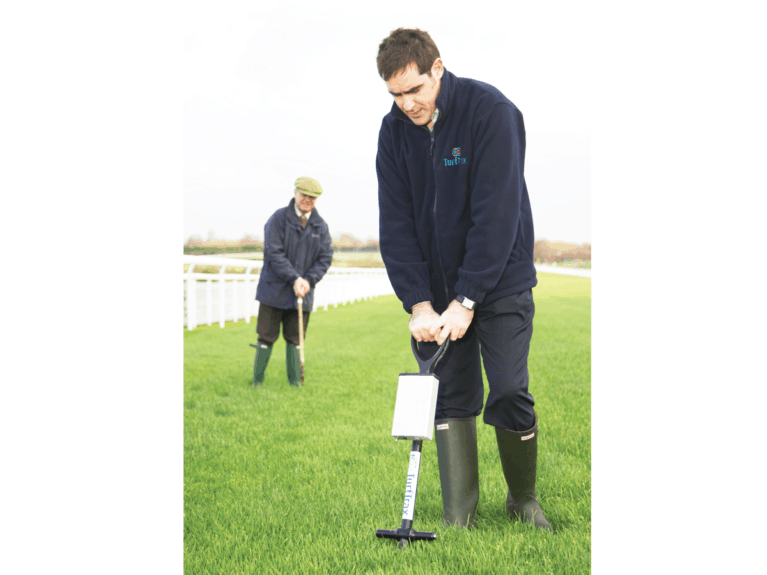 Unlike some other horse sports, racing has strict methods of measuring and assessing ground conditions. Robin Mounsey of the British Horse Racing Authority explains: “We very rarely race on ground that has the description of hard. Indeed, if the ground is hard, then an inspection would be held to consider whether racing should be abandoned. “Our flat turf courses are told to aim for good ground, but it can be good to firm, or firm, and still raceable. Anything firmer than firm may face abandonment, depending on the circumstances. The clerk of the course is responsible for all aspects of turf management. Before each meet, they will test and measure the ground on the course with a GoingStick, which measures the amount of force required to push the tip into the ground and the energy required to pull back to a 45° angle, at 54 points around the course. The measurements are downloaded onto a computer, an average calculated and the going assessed. 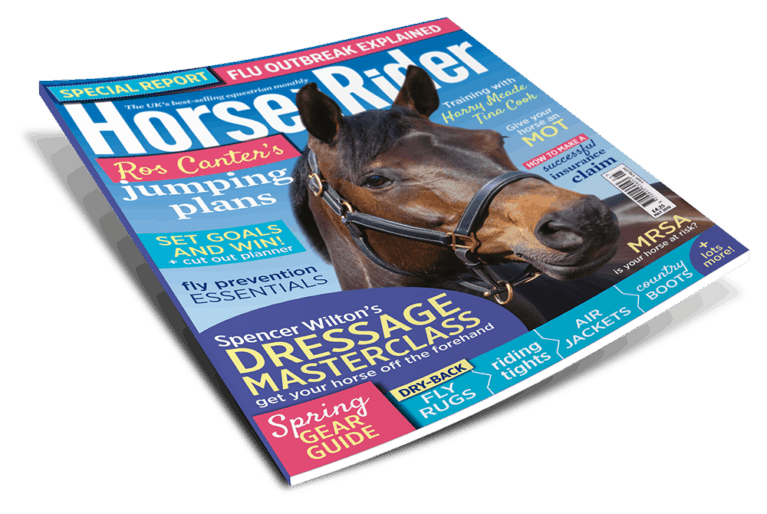 While hard ground may curtail some of the ‘glorious sunshine, cantering about the place’ activities you’ve planned with your horse during the summer months, by gently limiting his exposure to hard ground, you’re investing in his long-term health and soundness. So get creative and come up with ideas for hacking and schooling that help you avoid unnecessary pounding on hard ground, and you’ll be able to enjoy time with your horse for years to come. 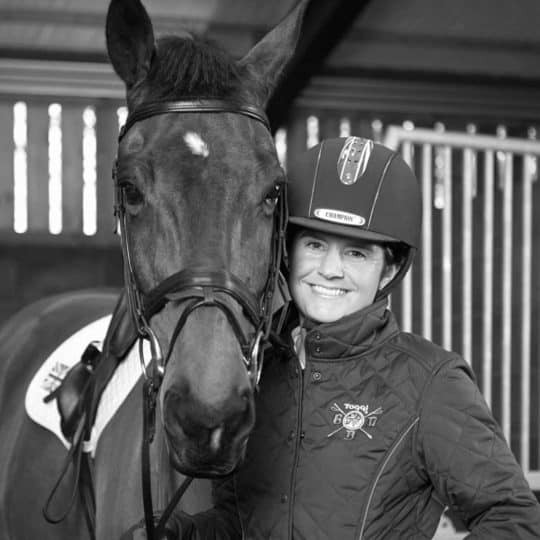 Partnered with the legendary grey, Lenamore, Caroline ran seven times around Badminton, five times around Burghley and was part of Team New Zealand’s bronze medal-winning team at the London 2012 Olympics. A crowd favourite, Lenamore retired fit and well in a special ceremony at Burghley Horse Trials after a career spanning nearly 15 years. Caroline credits Lenamore’s long-term soundness to his good conformation, and consistently good, basic horsemanship and management throughout his life. 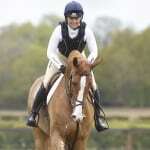 She explains: “It’s a long process to create an amazing horse and there aren’t any short cuts. Lenamore walked and trotted on the road for six-weeks at the start of every year and had at least a month off after every major event to recover. He then had a couple of weeks hacking before he came back into full work. “Lenamore was a very correct jumper. He calculated each of his efforts and knew how far he could push himself physically, which helped him stay sound. 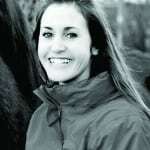 “I have an established system of aftercare for my horses that involves a lot of icing, regardless of the ground. After the cross-country, my horses go straight into ice boots and are cooled off properly. They then switch into a second set of ice boots and travel home with clay on their legs. Once they’re home, we wash off and examine them, then check again the next day. “At most events, take-offs and landings are well-prepared, but in-between always look to put your horse on the best grass. It’s about making choices with his long-term health and wellbeing in mind.